It’s here again, it’s Spring. Some of you will know that I am just beginning my Easter holidays in the top field. 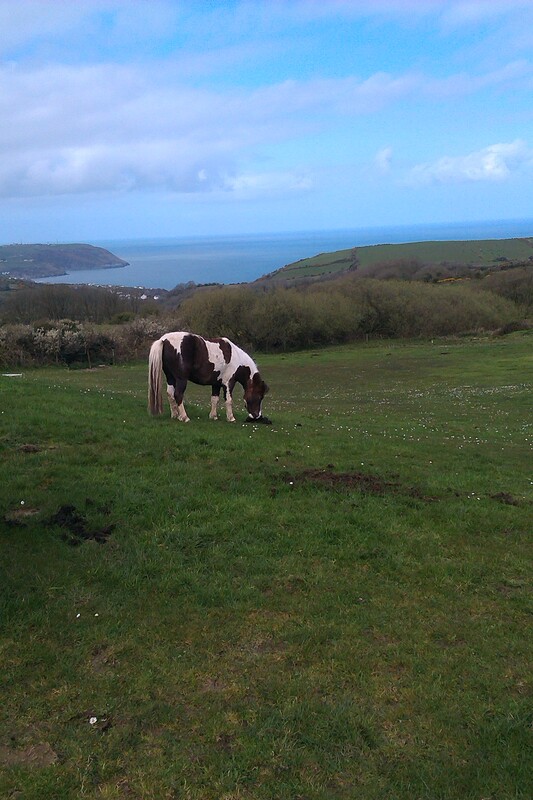 This is the first Easter holiday I have had for two years, because I had a bout of laminitis the year before last. It only hurt for a short while, but I had to stay in the stable for AGES while my hooves grew out ans then a very little bit of turnout got included in my day for quite a while. I always had company near me and toys, but it was a bit of a long haul. At last, the other day, when the farrier was changing my made-to-measure shoes, he said my feet were back to normal. Hooray! The snag is, now that I have had laminitis, I will always be in danger of it happening again. I am a small chap, designed by nature to walk miles for every mouthful, but this farm is used to feeding cattle and sheep – it doesn’t know about the walking for miles thing – so my diet has to be restricted. Actually, everyone’s diet has to be watched here, because we are all fatties – even Hooligan who is 16hh with the longest legs in the world! The only exception is Twinkle, who is elderly and has a few dental issues, so she is allowed to eat the long grass. So here I am, with Bramble and Paddy, on a diet, but having some freedom and a great view of the sea. She says I might be here for a week, or a month – depending on the weekly weigh-tape. This entry was posted in Hints on horse care, Horse welfare and tagged Animal Welfare, Conditions and Diseases, horse welfare, horse welfare; equines; horses and ponies; showing., horses and ponies, laminitis, life and times, Paddock management, Pony Power, Redwings, RSPCA, Spring grazing, World Horse Welfare on April 14, 2014 by sallylearoyd. Amid all the coverage of the UK floods during the past few weeks, that excellent charity World Horse Welfare has been trying to draw attention to the plight of horses and ponies which are passing through our ports with no checks made on their identities and their well-being. 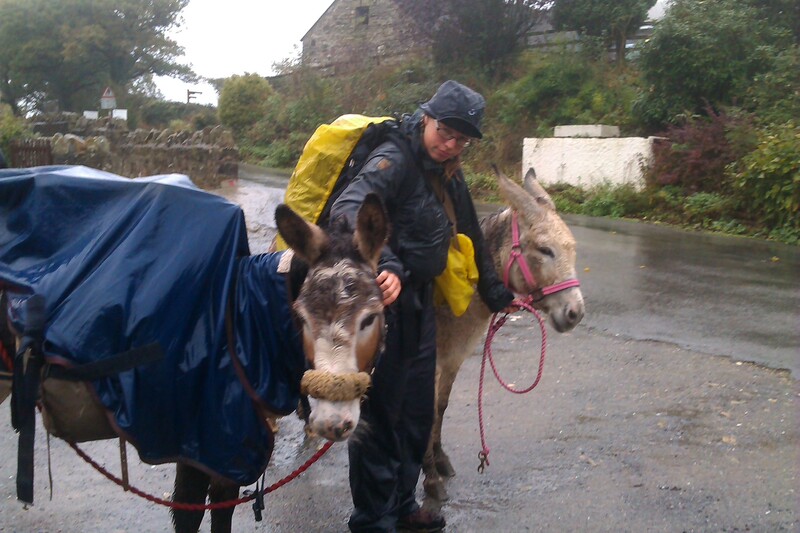 Obviously, the floods merit the greater coverage – as national disasters go, this is a particularly horrid one for many people and their animals. However, I am really hoping that the unregulated import and export of horses and ponies does not go unnoticed. There are some things which I can’t understand; in particular, why owners and breeders choose to supply such a trade. There is no money in it for the owner or breeder, there can’t be, otherwise the market trade would be better. So why does our horse industry continue to breed and give away thousands of foals each year, without giving a tuppenny damn where they finish their pathetically short lives? I expect it’s a case of ‘out of sight, out of mind’. There are big contradictions involved as well. The native pony breed societies all promote their brands like mad. The Dartmoor is the ideal child’s pony, the New Forest comes in for Pony Club and Mum-share, whereas the Welshies are the clever ones to get you there quickly. There is no such thing a a low-value native pony – these days they are all brilliant examples of improved indigenous performers. But all too often their fate is to end up unwanted, neglected and on that lorry – some thanks for doing their best and (actually) being the finest of their kind in the world. It seems to me there is a need for some pride, some control of numbers, and some clever marketing. It was always said that the UK was a nation of animal lovers – but how come we allow this to happen. We native ponies are too god to be treated this way. If you agree, lend your support to World Horse Welfare and their excellent campaign to get this trade regulated. Better still, petition your MP to get it stopped! 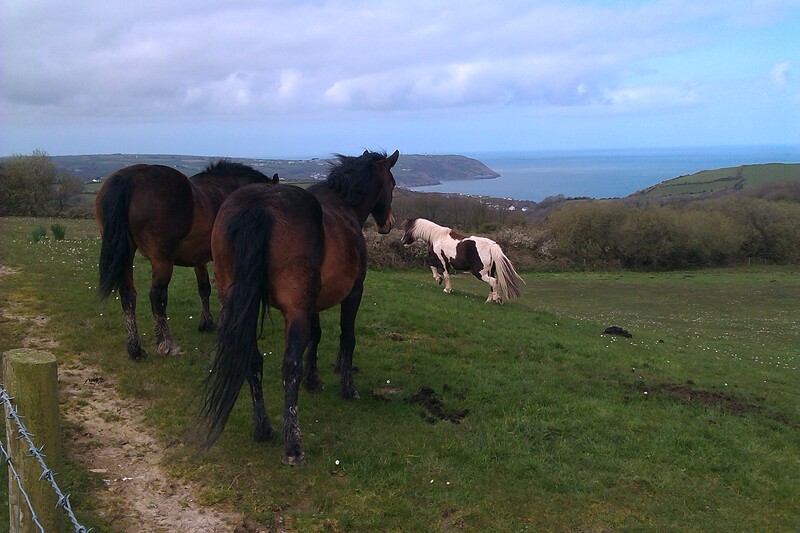 This entry was posted in Hints on horse care, Horse welfare, Life and Times and tagged Animal Welfare, equine welfare, horse passports, horse welfare, horse welfare; equines; horses and ponies; showing., horses and ponies on February 17, 2014 by sallylearoyd. 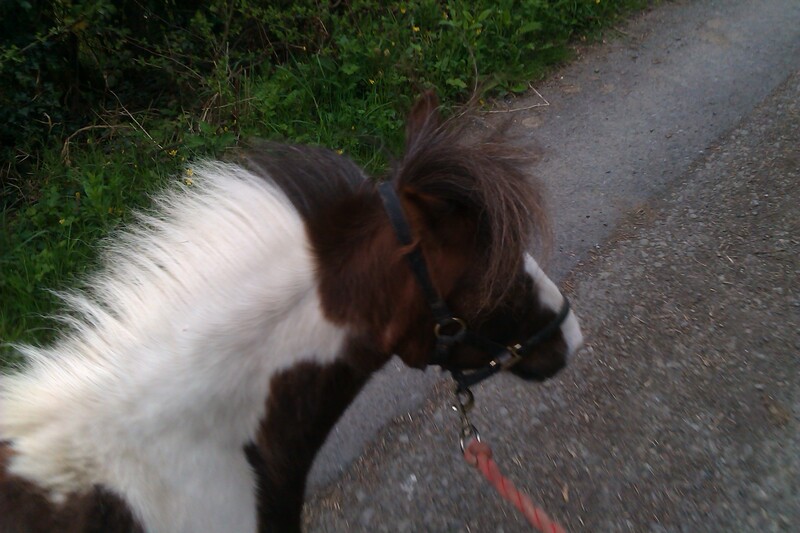 This entry was posted in Hints on horse care, Horse welfare, Valentines Day and tagged Animal Welfare, equine welfare, horse welfare, horse welfare; equines; horses and ponies; showing., horses and ponies, Horseworld, Redwings, RSPCA, World Horse Welfare on February 14, 2014 by sallylearoyd. On the twelfth of December each year, I have a birthday party. We don’t know when my actual birthday is, and it’s most certainly not in December! But this is the anniversary of when my better life began. I was a rather sad and poorly thing. The idea is that we all, me and my followers, spare a thought fot those needy horses and ponies, who are not as fortunate as I am. On that day, I will invite all of my friends on Twitter and Facebook, to send a message and a photo (please, lots of photos) and at 1pm I blow out the candle on my cake (yum). I will also post a film of my story, to show you how I recovered, against the odds, and was transformed into the talking pony you have come to know. Don’t forget to join me now! 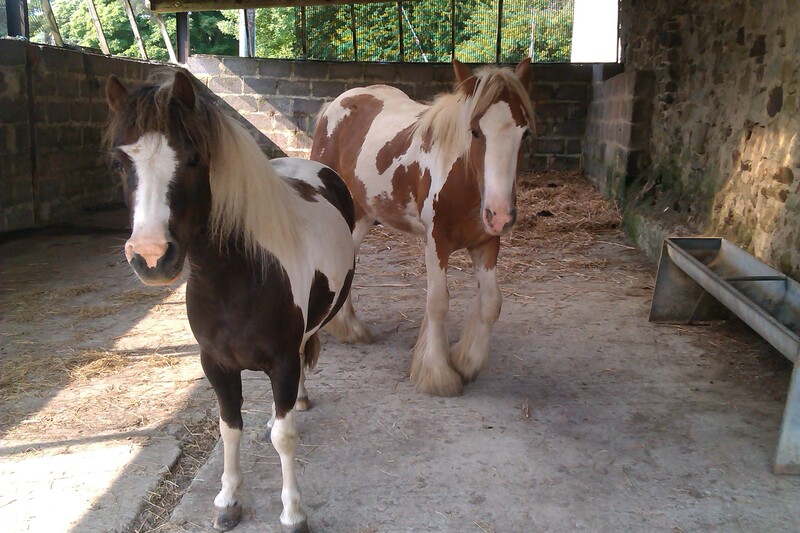 This entry was posted in Horse welfare, Life and Times and tagged Birthday, Birthday cake, equine welfare, horse welfare, horse welfare; equines; horses and ponies; showing., Pony Power, rehabilitation livery on December 5, 2013 by sallylearoyd. I have loads of friends! Some are people and some are ponies and horses and I have been gathering them ever since I came to live here. 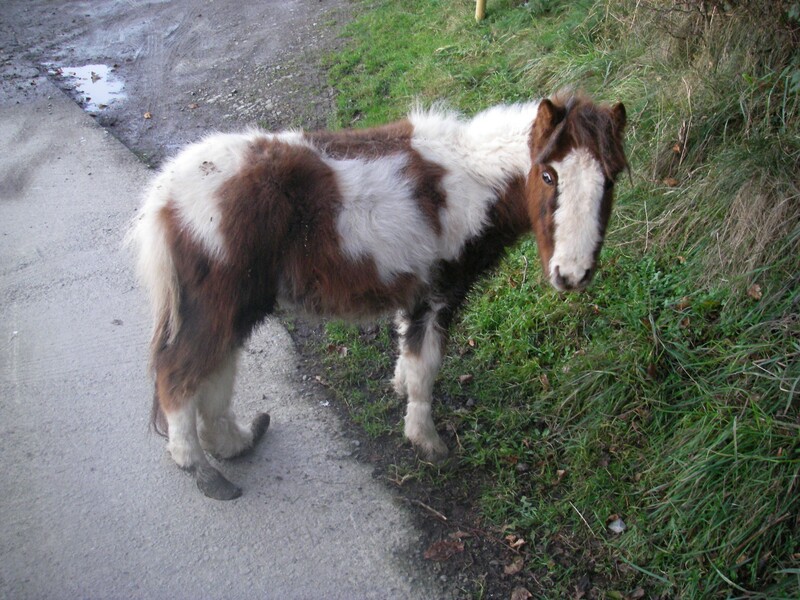 When I was an RSPCA pony, I made lots of friends in that Society and I am glad to say we keep in touch – and sometimes I am moved to stick up for my friends if I think they are being neglected. A couple of weeks ago there was a big horse show called Equifest. It’s too far from here for me to go, but a lot of my rescued friends go there and strut their stuff. Equifest is one of those shows which is ideal for the amateur showman; there are lots of qualifiers and lots of classes, so everyone gets busy and has a great day. The RSPCA equine centres take some horses there to compete in the ‘Rescued horse or pony’ classes and they take some friends who are looking for homes as well. Last year, my old friend Sundae took the show by storm and won the ridden class – she is so cute – but this time she got a bit overexcited about meeting her public and flunked it! We all make mistakes Sundae! Lisa and Mo and all the girls look after Sundae and the horses at Felledge Equine Centre. They work so hard and it’s not all beer and skittles! Sometimes a horse turns out to have a big problem and doesn’t make it. That is heartbreaking when you’ve done your best, lost sleep and tried everything. After a big show like Equifest, there is a lot of talk about the RSPCA as a whole, but little credit given to those who do the day-to-day stuff – and then give up loads of their spare time to fly the flag at the show. Look at Chester and Diablo – looking splendid from poor beginnings and also looking for new homes while they were at the show. Diablo found a home – so did Chester, but that fell through. He’s available again so here’s your chance! Catch up with him at rspca.org.uk. It wasn’t just a day for the new boys either. Moon is a stunning boy now – we scarcely believe he’s the same pony who arrived as a woolly little orphan foal and had to be handreared (no sleep for Lisa again). He is now Clare’s pride and joy and competes in all disciplines. 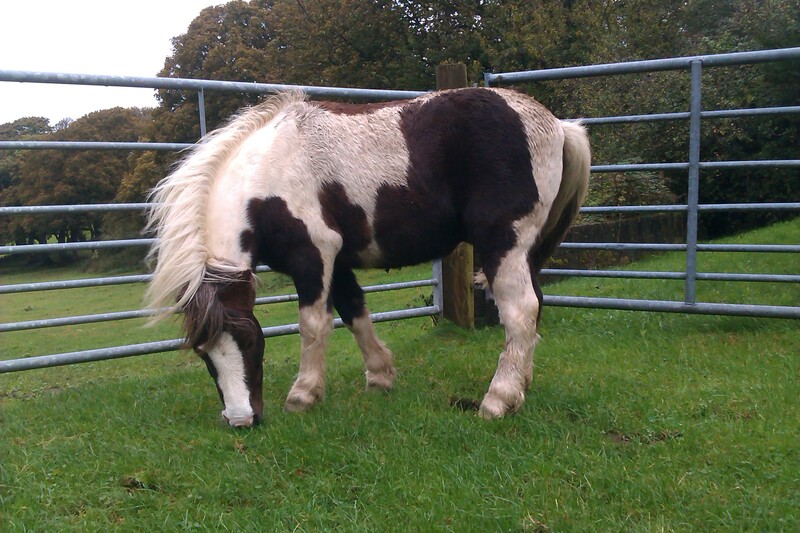 Debbie adopted Molly from the centre, having watched her develop from a welfare case into a lovely child’s pony. Exhibiting her at Equifest was quite a project, but worth it at the end of the day. I was thrilled to see Clare and Debbie’s photos. They are just as good at producing their ‘hobby’ at they are at helping all those poor, impoverished horses which arrive at the centre in droves each year. Well done to all my dedicated friends and their horses. I sometimes think you don’t get the credit you deserve! This entry was posted in Horse welfare, Life and Times and tagged Equestrian, horse welfare; equines; horses and ponies; showing. on September 10, 2013 by sallylearoyd.